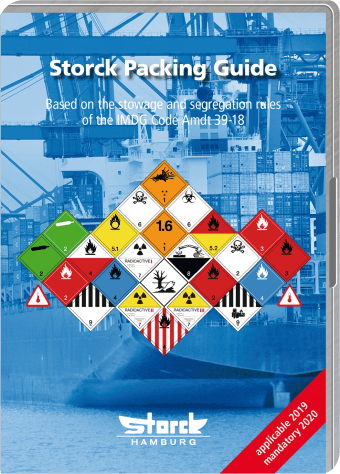 Storck Guide: For Stowing and Segregating Dangerous Goods Correctly! Dangerous goods in deepsea shipping always have to be loaded according to the safety rules for stowage and segregation of the IMDG Code. This is easy to stipulate but hard to do. 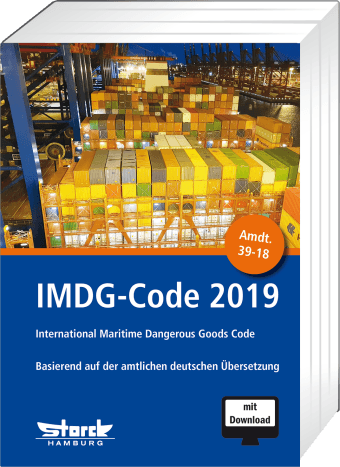 The special information on the relationship of different hazard classes in respect to their stowage and segregation is hidden in not at all easy-to-understand tables of the IMDG Code. Checking several UN numbers against each other is most laborious and time-consuming. 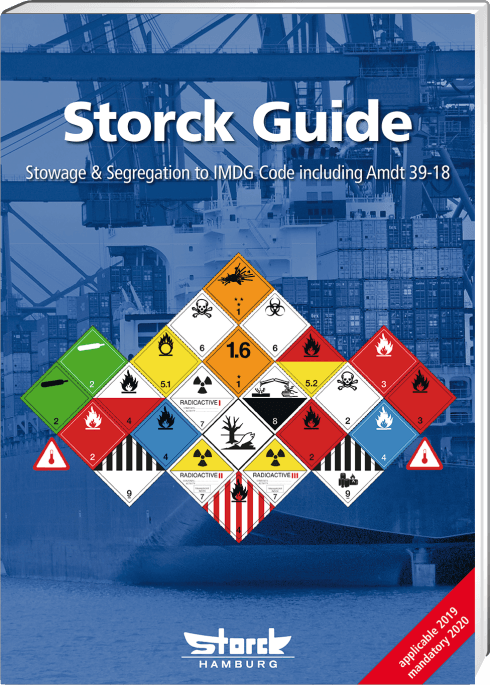 Using the "Storck Guide - Stowage & Segregation to IMDG Code" this work is done in just a fraction of this time while creating safer transport. Classwise it shows the general stowage with dangerous substances of the other classes plus all special segregation requirements for single substances of each class (except for classes 1 and 7). 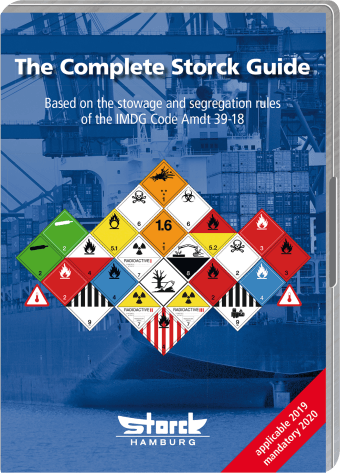 For more than 40 years the Storck Guide serves ship planners, cargo officers, surveyors and inspectors as well as container packers and terminal operators all over the world as a valuable tool in their daily work for correctly stowing and segregating dangerous goods.